Portugal is one of the favourite destinations for Brazilians looking for a new life in Europe. If you come from the land of samba and football and want to know how the study life is in Portugal you have come to the right spot – EDUopinions! For someone that was born and raized in Brazil, the only time one could picture having a problem with the Portuguese language would be while facing a grammar test during school years. Unfortunately, when someone first arrives in the land of bacalhau the impression is that people speak a totally different language here. But hold on, it gets better. As soon as we start paying really close attention we realise that it is not that different after all. So what I recommend would be to force your memory and remember how your grandma or grandpa used to talk since most of the words you will listen in Portugal are actually those of a really fancy and, in some way, old fashioned Brazilian would use. Something that might come to the mind of a regular Brazilian student when thinking of the daily basic routine during university is coffee, coffee, coffee, and coffee. The daily life of a student in Brazil often can be summarised as non-sleep and stressful long classes with really high reading loads for homework. Luckily this is not the reality for those who come to the other side of the Atlantic. In Portugal, it is safe to say that students can rely on a healthy study/life balance. 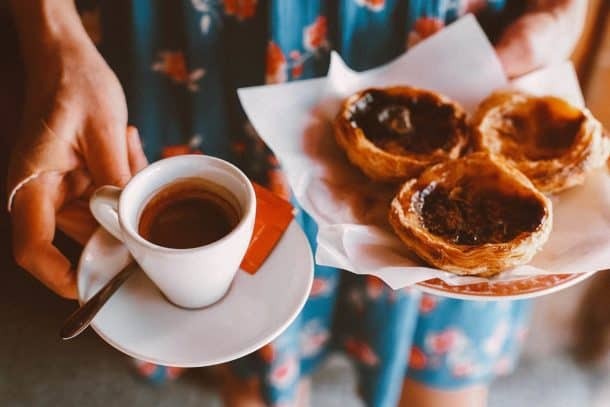 During classes in Portuguese Universities, it is quite common that the Professors take a 15-minute break to have a coffee or just to talk with students. Classes also start later over here, it is fair to say that roughly the morning classes will start at 9 AM and afternoon ones at 2 PM. Which gives quite a good amount of free time for students work on side projects as well. Perhaps one of the hottest topics about moving to a different place is whether or not it will be easy to conciliate work and studies. And, to a cheerful surprise, Portuguese Universities are really well prepared for helping their students have a secure financial situation. Portugal has the policy of trabalhador-estudante or worker-student status in a fair translation. Basically, if you find yourself a part or fulltime job you are entitled to this different status. With it, you will be allowed to not attend classes on a normal basis, giving you time to work even if when your timetable would suggest otherwise. You would still have to attend exams and tests but quite often you can come into an agreement with your professor and suggest maybe a project or a different form of evaluation. To get this status all you need to do is pay attention to the deadlines and be sure you have a legal job contract and the possibility to attend to those evaluation periods on call. Need help choosing a university? Come to Portugal! In the end, this little country in the Iberian Peninsula can be your perfect destination if you are looking for a safe, calm, sunny and lovely place to start your next studies. It is worth saying that Portugal is also the homeplace of one of the oldest Universities in the World. You could check more about the University of Coimbra on our website. Rafael Masson is a learning enthusiast, food lover, photo geek and a traveller by passion! He studied International Relations at the border between Brazil and Uruguay, Filmmaking in São Paulo, and now he's doing his Master's in Strategic Communication in Portugal! Overall, his passion for studies has led him to live in over five different countries and to work in over three continents.